Because we know you like to travel light and live simply no matter where you are. Outdoor adventurers spend a lot of time in the mountains, deserts and on rivers, but most of us work as hard as we play. Right? We have to in order to pay for our big thru hikes and alpine expeditions (and also the mortgage, rent, the kids, college debt and that new MacBook Pro). But while we spend months or even years pairing down our backcountry kits to be as minimal and functional as possible, we often don’t consider lightening our load when going to work or the grocery store. At Hyperlite Mountain Gear we believe it makes sense to optimize all our gear, from our ultralight shelter systems for the Appalachian Trail to our bags for urban transport. That’s why we made the Tote Bag and the Duffel Bag. And on October 5th, we’re introducing a minimalist, ultralight messenger bag to our Transport Line. People who use our gear aspire to travel light and to live simply not only on backcountry adventures, but also in daily life. Motivated and active, they bike to work instead of drive or they forego the escalator to run up the stairs. Subsequently, they need high-performance gear that helps them succeed in an urban environment; they need gear that is stripped down and dialed in to meet their exacting requirements. With this in mind, we built the ultimate messenger bag. Made of 150-denier black or white Dyneema® Cuben Fiber, it’s super durable and highly water resistant. It comfortably carries up to a 15″ laptop, yet it’s also compact and super lightweight. It weighs just 1lb. 2.4oz., which is significantly lighter than the top five OutdoorGearLab.com messenger bags that weigh between 1.8-3.8lbs. 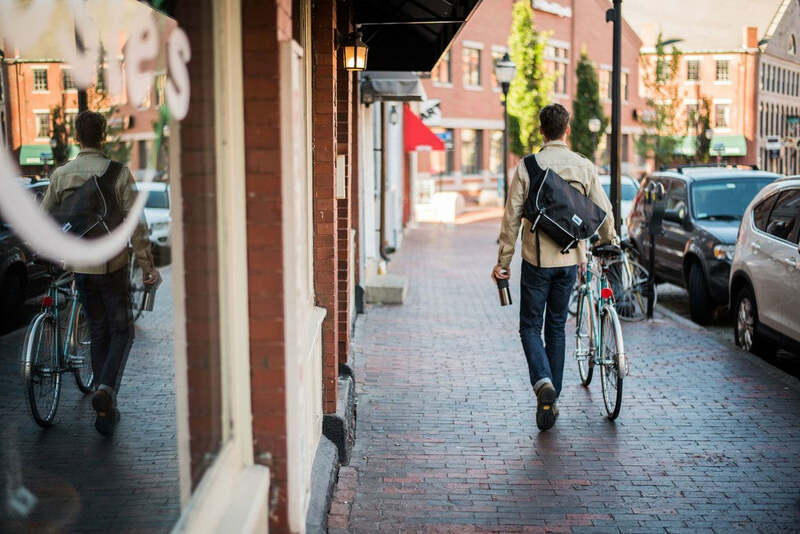 Sleek and streamlined by design, you’ll hardly notice this messenger bag as you wind your way through the city or stride purposefully to work. 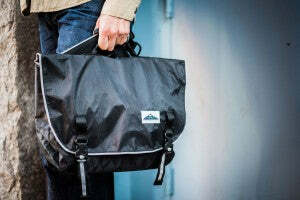 The post Coming Soon… The New Ultralight Messenger Bag appeared first on Hyperlite Mountain Gear Blog.